Faisalabad (15 Mar,2018 Thusrday جمعرات):– (Check 200 Prize bond List March 2018 faisalabad city on 15.3.2018 online. )- The central directorate of National savings of Pakistan is holding latest balloting draw of 200 Prize bond 2018 March according to the schedule. The spokesperson of Qaumi bachat bank Faisalabad revealed that the Two Hundred prize bond denomination 2018’s First draw and totally 73th draw is going to be held on 15.3.2018 Faisalabad at 9:00 am. You may download the Rupee 200 Prize bond draw list march 2018 Faisalabad فیصل آباد by bonresult on this page. 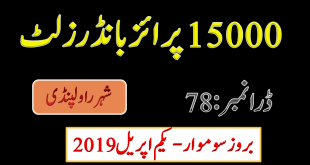 The Prize bond list 2018 March 2018 will be online broadcast at media channels live specially on Kohenoor live and satellite TV and you can see that draw balloting process live onکوہ نور ٹی وی live for the Rs200 prize bond draw result March 2018 and we will fully updated the full draw list on this page. The saving bond media spokesperson also entail the complete prize bond winner’s winning amount that will be awarded in three categories know 1st, 2nd and 3rd prize bond winner. All the winners win prizes in their respective field. The first prize consists of 750 thousand rupee (7.5 Laakh) that have only one lucky prize and will be given to only one lucky number. The second prize amount is 250 Thousand Rupee (2.5 Laakh) that is for Five lucky winners of 200 Prize bond draw March 2018 Faisalabad on 15.3.2018. These two prizes are handsome and are attracting each middle level Gov’t and Private employee to buy and get this big winning amount in such a small 200 Rupee investment. But the lucky men percentage is very low. The third prize of only 1250 Rupee is for 2394 lucky winner and after deducting the seller commission only 1k is left for the winner so I did not buy these low gift denomination. Se we are here for teh National savings Rs. 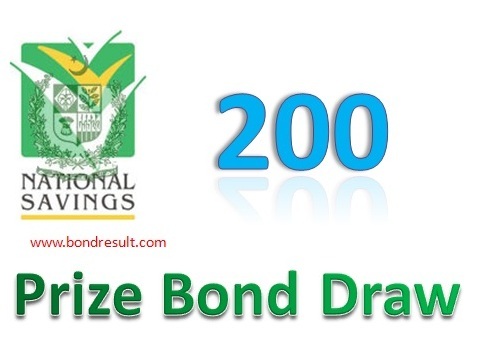 200 Prize Bond result Draw #73 dated 15th March, 2018 Online with all prize bond result for you. The respective headquarter National Savings of Pakistan Faisalabad region have organized the full bench team balloting process on 15.03.2018 and the draw takes about 10 hour to complete. 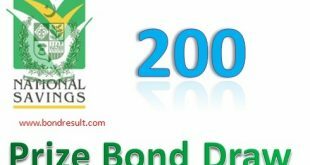 The 200 Prize Bond Draw List Faisalabad فیصل آباد 15 Mar 2018 can be seen on this page at first instance when the result is updated for you. The Pakistani inhabitants love to have money in low effort but some search effort is necessary to find which your lucky number is and what is expected to the next draw is you have bought some copies of Rs. 200 prize bond as investment. I am suggesting you to buy bigger prize bonds as the pay high and have less effort to search online or from the paper check one by one. You may see the 200 Prize bond list 15.3.2018 fully and will find that 629636 is the lucky one person that got 750000 rupee for this winning game. And the the five other lucky numbers including 035474, 172997, 202532, 425987 and 661011 have got the 2nd prize amount of 250000 Rupee for the Faisalabad bond draw today. The full list of RS. 200 Prize Bond List, Winners Of Draw # 73, 15th March 2018 is mention below by saving bacchat bank and you may see your lucky number.